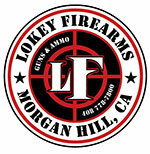 The Community Law Enforcement Foundation of Morgan Hill Inc. The Community Law Enforcement Foundation is a 501(c)3 Corporation. Please consult a tax advisor for the deductibility of your donation.